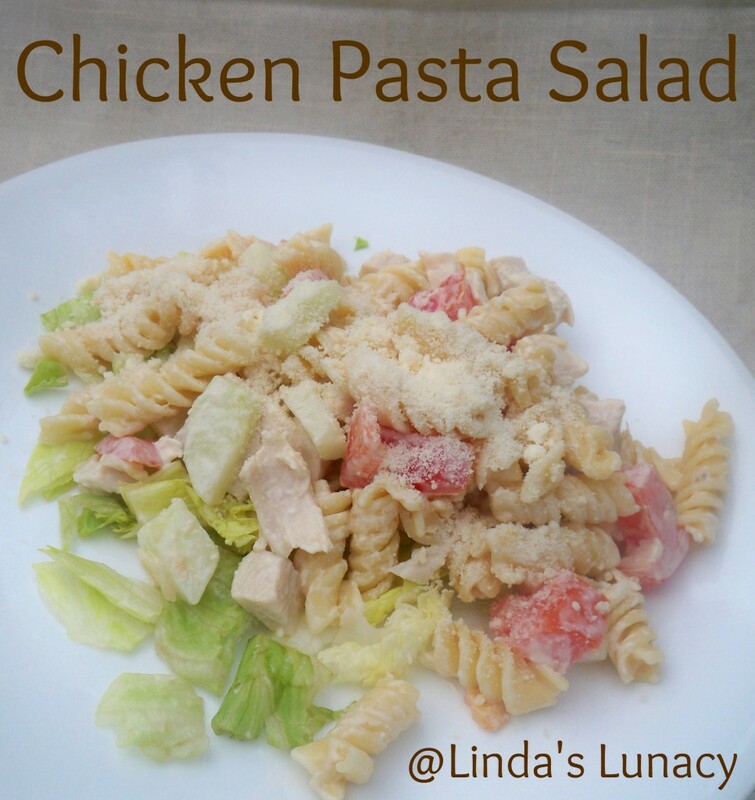 I’ve been making this Chicken Pasta Salad for over twenty years. It’s quick, easy, and my family loves it. I realized this week that I had never shared the recipe here. Enjoy. In large bowl, whisk together mayo, milk, & parmesan cheese until smooth. Add chicken, tomatoes, cucumber, and cooked pasta. Stir gently until everything is combined. Chill in fridge until ready to serve. Serve on a bed of lettuce, sprinkle with more parmesan cheese, if desired. You can use any shape pasta you would like. You can easily adjust the dressing if you like more or less on your pasta salad. You can add any vegetables you like to this. I also like onions and green bell peppers in this. Using leftover chicken and left over salad veggies is a great way to make this a very frugal recipe. Recipe can easily be cut in half, if you don’t need this much. Stores well in fridge, and is great as leftovers. Here’s a printable version of the recipe. You can use any shape pasta you would like. You can easily adjust the dressing if you like more or less on your pasta salad. You can add any vegetables you like to this. I also like onions and green bell peppers in this. Using leftover chicken and left over salad veggies is a great way to make this a very frugal recipe. Recipe can easily be cut in half if you don't need this much. Stores well in the fridge, and is great as leftovers. This sounds delish and looks even better! Any thoughts on how to make it non-dairy friendly? That looks wonderful! I guess its lunch time! Yummy! I’m going to have to give this one a try. Looks like a great summer meal!